Remix Light Knit-along: That’s All, Folks! 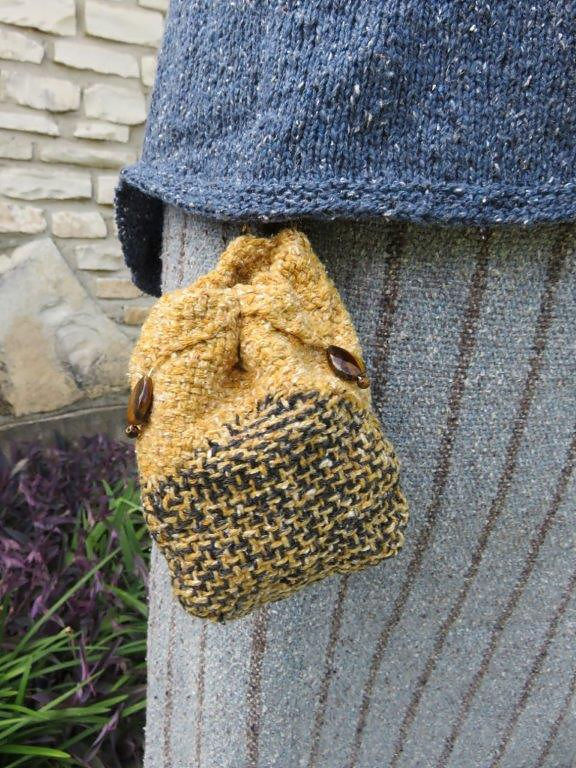 Our Remix Light Knit-Along is all done now, and we had so much fun (some of us had even more fun than others). Check out all the great projects that were made over the last two months! As you know, the official focus of the knit-along was Berroco Remix® Light—anyone could knit or crochet any project they wanted, as long as they used Remix Light. Unofficially, we made Derecho the knit-along project, as so many people had expressed an interest in this great summery tee. 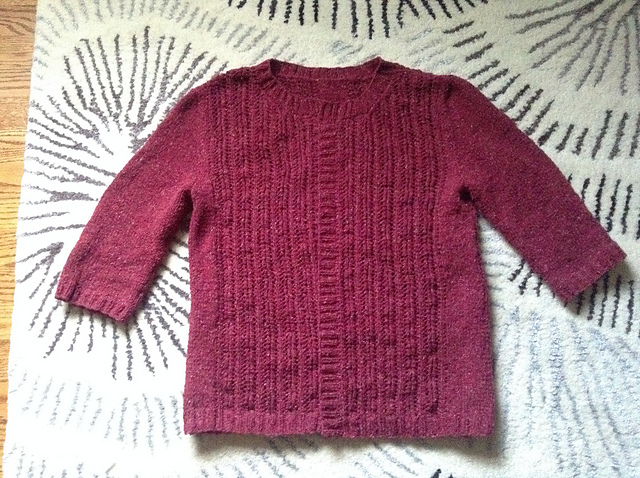 So there were many Derecho sweaters finished over the last couple of months. There’s one project that’s still in progress but I can’t wait to see how this turns out! And then there’s Myriam and Gabi. Myriam has been a Berroco knit-along fixture for a long time now—I think she’s participated in almost every KAL we’ve done. 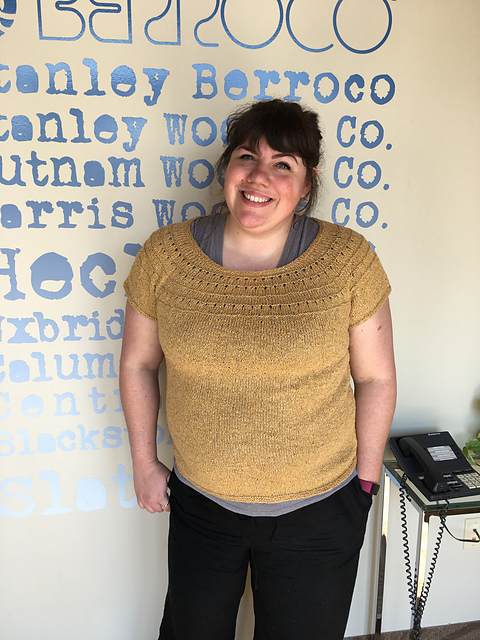 This time, not only did Myriam knit a Derecho, she also knit yoga pants to go with her top! And Gabi, well… Gabi has a bit of a Remix Light problem, we discovered. 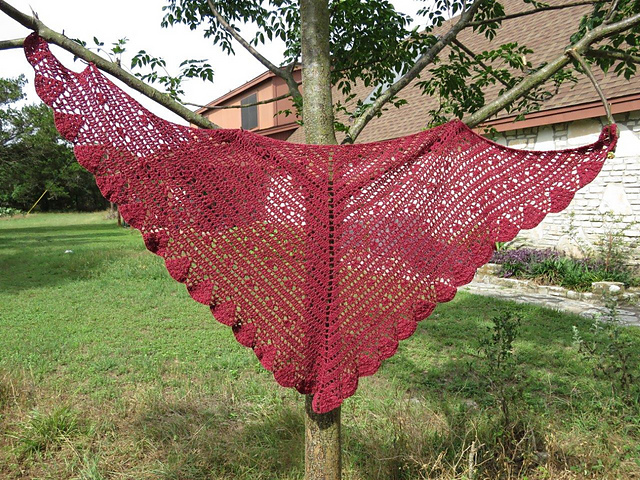 She knit Derecho, but got creative with the yoke and added a cool pattern. And then she crocheted a shawl. 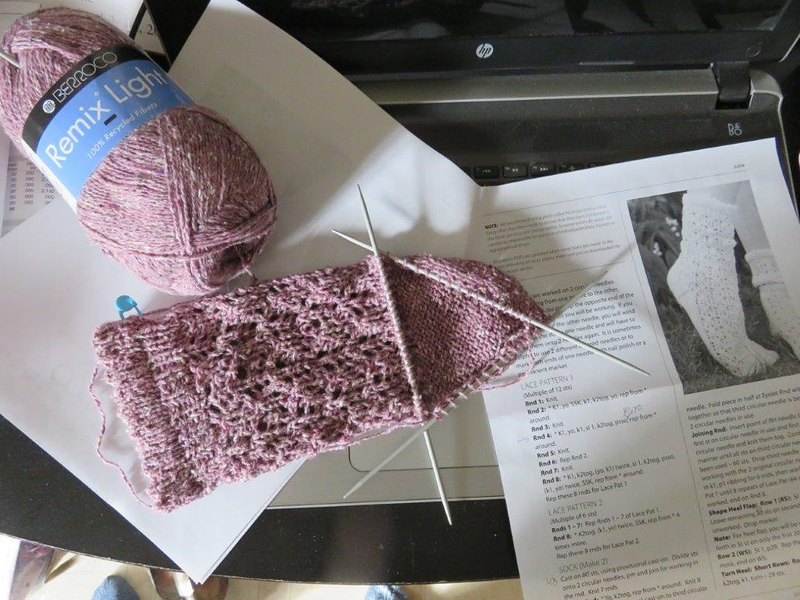 And just before the KAL ended, Gabi started a pair of socks. So as you can see, Gabi really loves Berroco Remix Light, and we really love Gabi’s enthusiasm! We greatly appreciate everyone who participated in the Remix Light KAL—our knit-alongs depend on your support and participation and we love knitting projects with you for a couple of months! We’ll have one more KAL in 2017, starting in September—be sure to sign up for Berroco KnitBits to make sure you know when it’s happening! 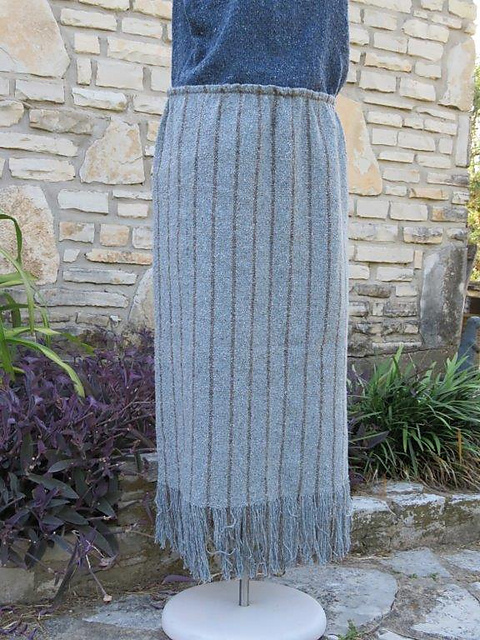 I finished mine in sort of the blue jean type color. 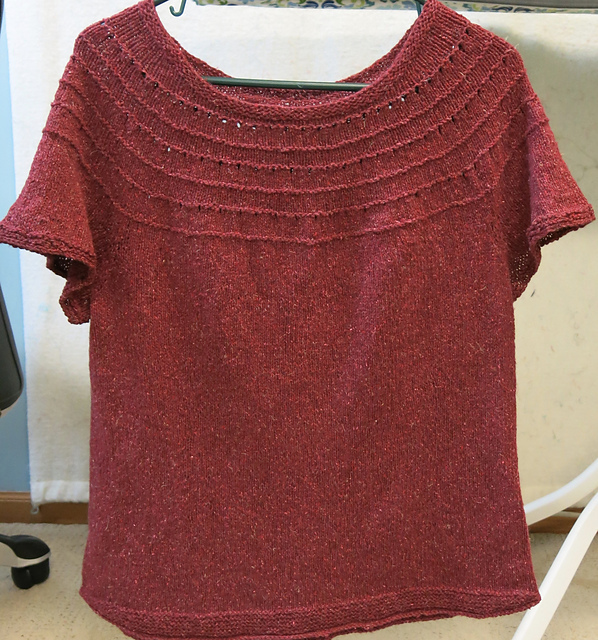 No picture too shy, but I need to block it still the sleeves are a bit too flappy hoping blocking will help. However, the fiber content doesn’t suggest much will change. How did people block theirs? I typically do wet blocking. Thanks for responding to my questions. I just needed some reassurance at times. I did wet block my Derecho, and then I just spread it out—didn’t worry about pinning. Did you go down to the suggested needle size for the garter stitch at the sleeves? 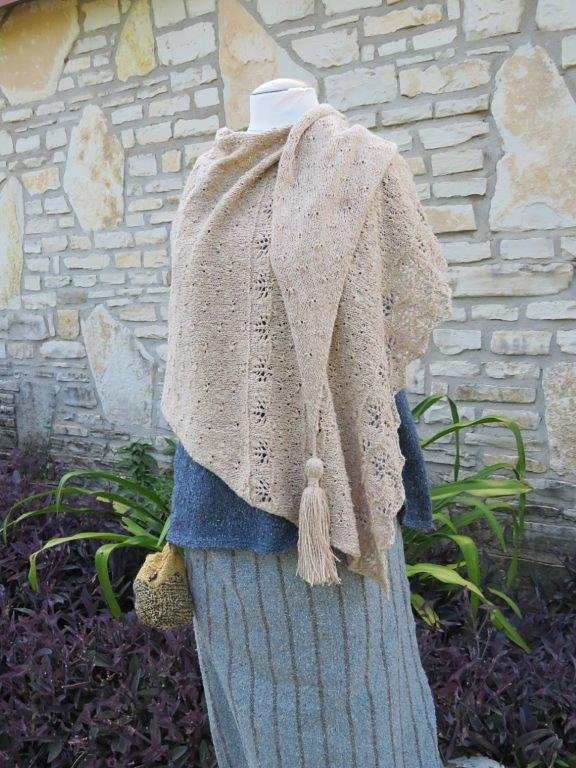 Because of the gauge differences between stockinette and garter stitch, the pattern calls for a smaller needle size to help tighten up the fabric and keep it from being too loose or flappy. 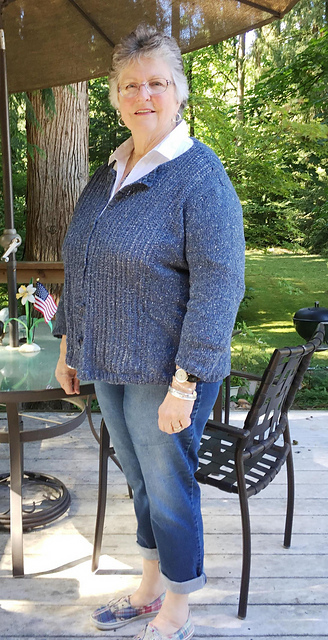 Liz, if you find the sleeves to flappy, you could redo the garter stitch finish with fewer stitches, or leave the sleeves as you have them right now and crochet one row of single crochet stitches around it to hold it in a little bit. Agreed on Amy’s blocking suggestion … simple does it. Hope you’ll post a pic on the KAL forum! Ok, my family has been reading this and is rolling in laughter. But to the reader: None of what you see in this blog is made up! This KAL has been the best ever. The community was so close-knit (no pun intended) that it became a daily task to see how everyone is doing. I love the long sequence of Derechos that Amy is listing in this blog! A great pattern, by the way. And sweet memories to see all those great sweaters come to a finish. And the Remix Light … well … the best I can say is that I’m proud to be addicted to this yarn (and I know I’m not the only one). Elsewhere I mentioned that the Remix Light is the summer yarn that I’ve been looking for for three decades. Lastly, I want to thank the Berroco team for organizing these KALs. I only started participating last year, but I hope to follow Myriam’s footsteps and not miss one KAL in the future. The KALs are pure, creative fun and promise good company … what is there to not love about? This KAL was so cool. It was nice to see all the Derechos, and to discover new patterns to knit with Remix Light, and to be part of the community. I can’t wait to start this project. Love Derecho! 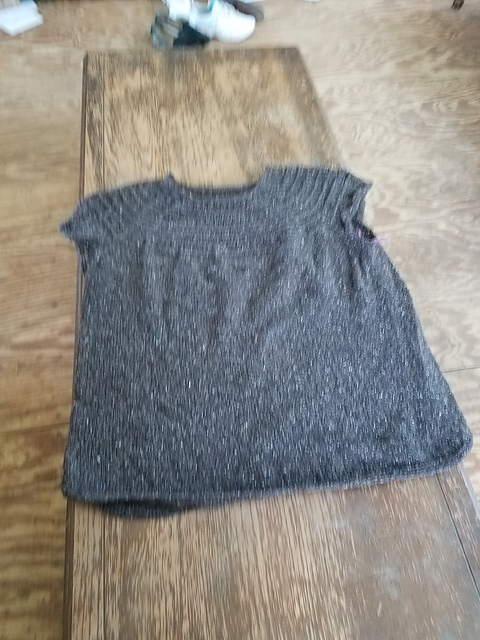 I am about to start this project & I am somewhat confused regarding the comment that the garment was designed with 1 – 4 inches of ease (pattern correction noted) and if your bust size is 36 – what size would you choose? I saw a tutorial for knitting the short rows & wrapped stitches & I hope I can find that again. Thanks for your attention to my questions. Hi Jeannette, We have a blog post dedicated to understanding ease: https://blog.berroco.com/2017/08/23/understanding-ease-in-knitting-and-crochet-patterns/ Hope this helps!